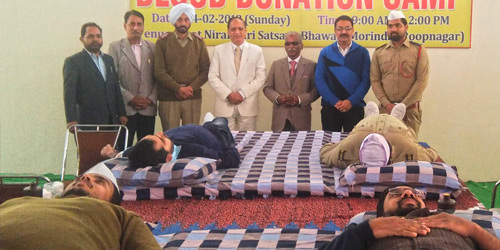 With the blessings of Satguru Mata Savinder Hardev Ji Maharaj, a Blood Donation Camp was held at Morinda in Punjab on February 4, 2018 where 169 devotees including 25 women and some donors from outside donated their blood. Organized under the auspices of the Sant Nirankari Charitable Foundation, the camp was inaugurated by the Punjab Minister for Technical Education Shri Charanjit Singh Channi. He appreciated the spirit of devotion with which the devotees volunteered themselves for this noble cause. Speaking on the occasion, Shri K.K. 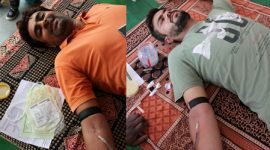 Kashyap, Zonal Incharge, Chandigarh said that this was the 15th blood donation camp to be organised in the zone since April last year. 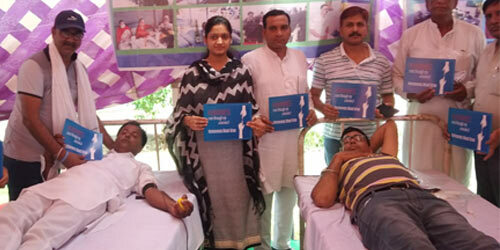 A total of 3938 units of blood have already been donated by devotees, in these camps, he said. 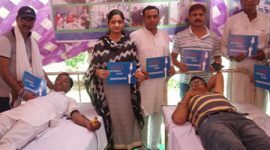 The camp was attended by several dignitaries of the areas. The local Mukhi Shri Inder Mohan Gulati thanked all of them, the donors and Sadh Sangat. The blood collection team came from Government Medical College and Hospital, Sector-32, Chandigarh.